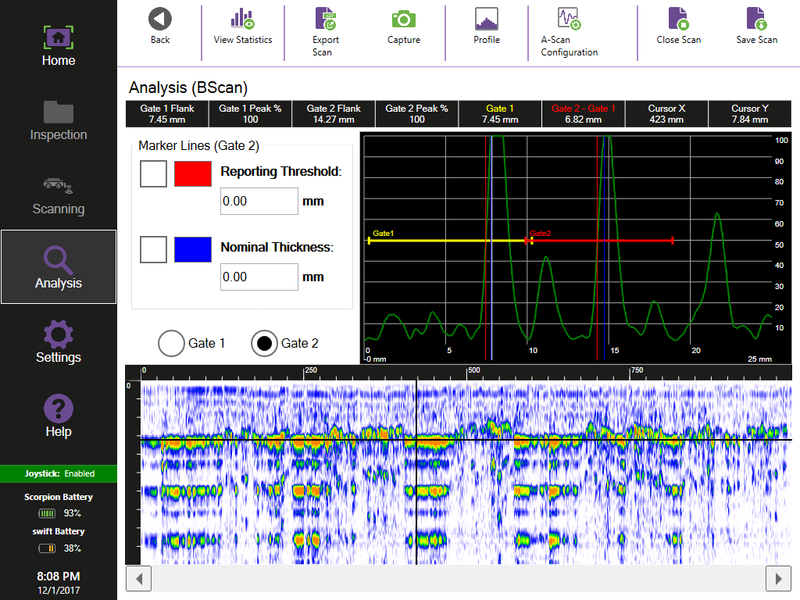 Scorpion2 is equipped with the best ultrasonic electronics and software the industry has to offer. With its advanced filtering, the system can inspect materials 4.7–100 mm (3/16 in to 4 in) faster and more accurately than other solutions on the market. 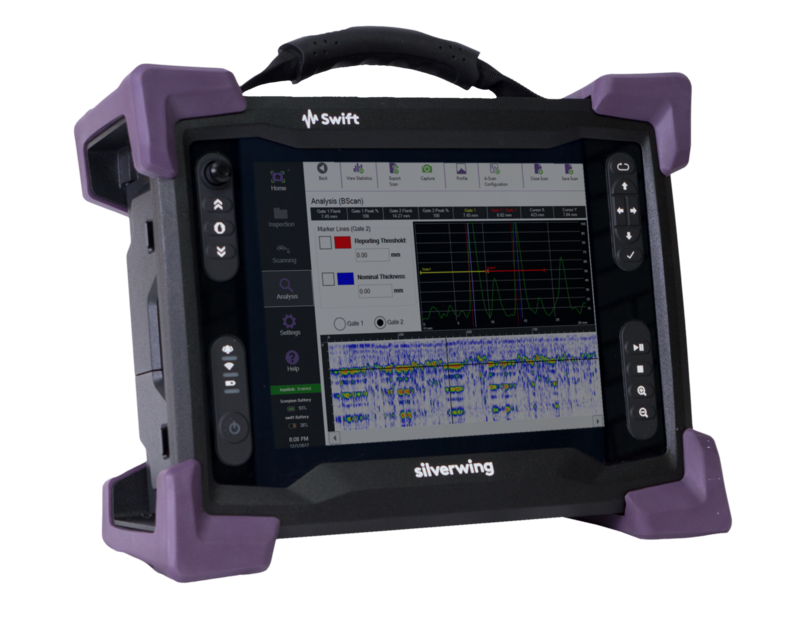 The Swift™ software enables unique UT gate processing (such as floating and tracking gates), ensuring correct wall thickness measurements under most circumstances. The unique, Silverwing dry-coupled ultrasonic wheel probe eliminates the need for couplant or for a constant water supply. The probe is designed as a twin-crystal ultrasonic probe combined with a unique rolling probe face. It enables the solution to record thickness measurements in the critical heat-affected zone (HAZ), 25 mm (1 in) from a weld cap. The four independent-power magnetic wheels and their treaded tires offer Scorpion2 the ability to easily move over 12.7 mm (1/2 in) bumps and an excellent grip under any condition. Unique to Scorpion2, active probe lift raises the wheel probe when measurements are not recorded, extending the life of the probe’s tire. Active probe balance makes it easier and faster to set up the probe before inspections, increasing inspection repeatability. 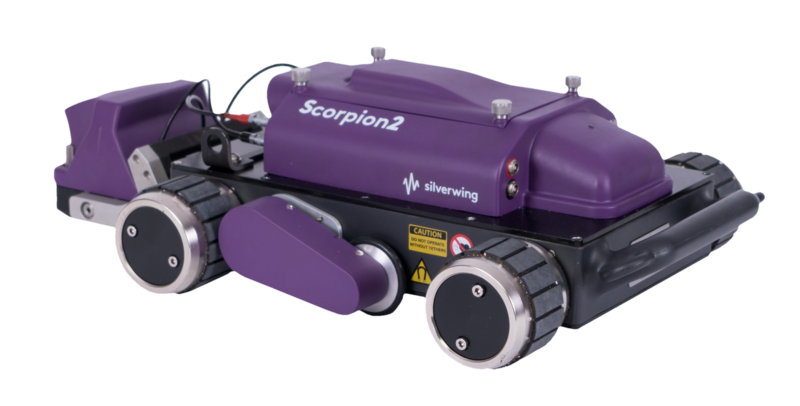 Scorpion2 comes with two lithium-ion battery packs for continuous on-site operation. 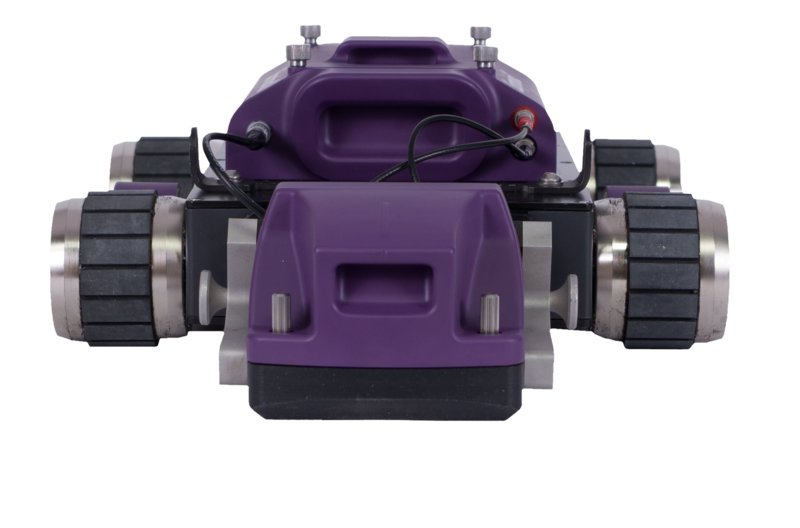 It uses one battery mounted inside the crawler, removing the need for a separate power source, as well as reducing umbilical and overall system weight.